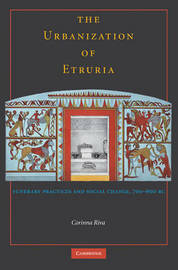 In this survey of the burial and settlement evidence of late Iron Age Etruria, Corinna Riva offers a new reading of the socio-political transformations that led to the formation of urban centres in Tyrrhenian central Italy. 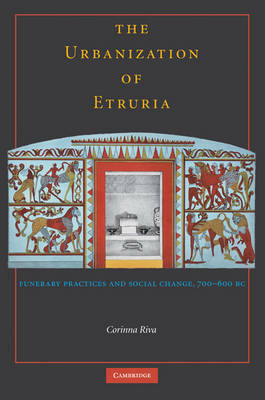 Through a close examination of burial ritual and the material culture associated with it, Riva traces the transformations of seventh-century elite funerary practices and the structuring of political power around these practices in Etruria, arguing that the tomb became the locus for the articulation of new forms of political authority at urban centres. Challenging established views that deem contact with eastern Mediterranean regions crucial to these developments, Riva offers a radically new interpretation of the so-called Orientalizing material culture, taking a long-term perspective on local changes and east-west contact across the Mediterranean. Corinna Riva is Lecturer in Mediterranean Archaeology at University College London. A scholar of Iron Age Italy and the first millennium BC in the central Mediterranean, she is co-director of the Upper Esino Valley Survey Project. She is co-editor, with Nicholas Vella, of Debating Orientalization: Multidisciplinary Approaches to Change in the Ancient Mediterranean and, with G. Bradley and E. Isayev, Ancient Italy: Regions without Boundaries.